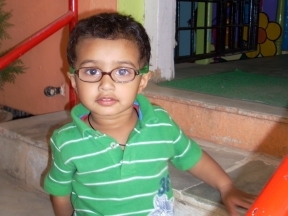 Satya, 2 years old – wears glasses to correct an intermittent squint (strabismus) due to farsightedness. He just started wearing glasses this week. Cute glasses! What kind are these?